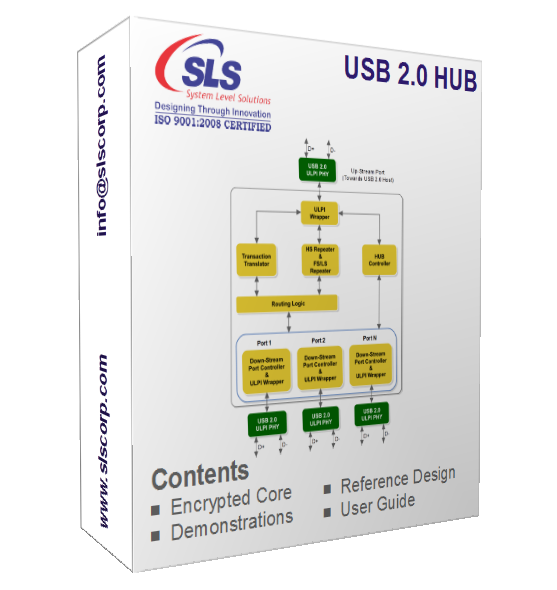 The USB 2.0 Hub IP core provides a link between the USB2.0 Host and multiple USB peripherals via UTMI + Low pin interface (ULPI). It supports High speed, Full speed and Low speed peripheral devices. Its rich features and ease of use makes it more suitable for embedded applications. This IP has been tested by interfacing it with USB 2.0 PHY (RN1133) on Nios II development board having Cyclone III device.